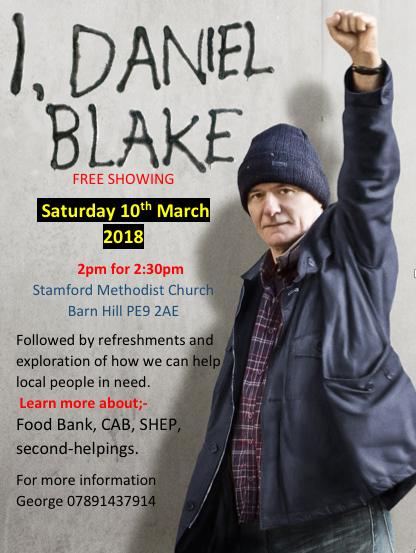 Stamford Methodist Church held a screening of the film I, Daniel Blake. It was followed by refreshments and exploration of how local people in need might be helped. 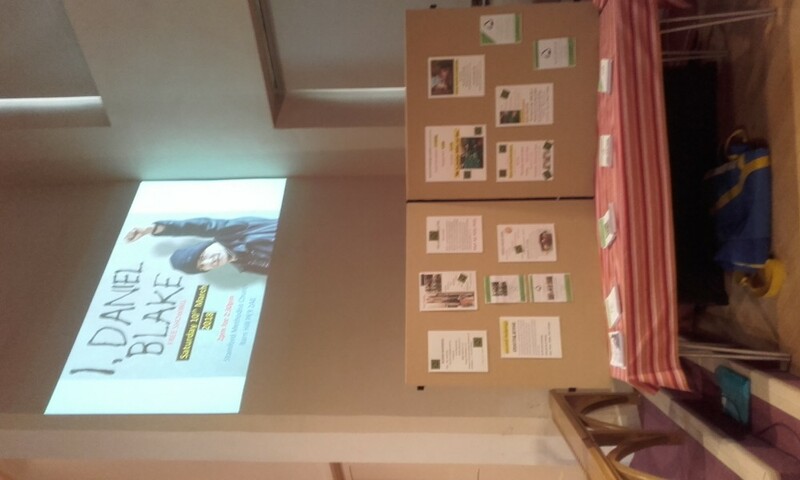 The event was attended by over 80 people (and a dog!) from the community and local churches. The church was silent at the end of the showing until someone started a round of applause after what seemed like an eternal silence. 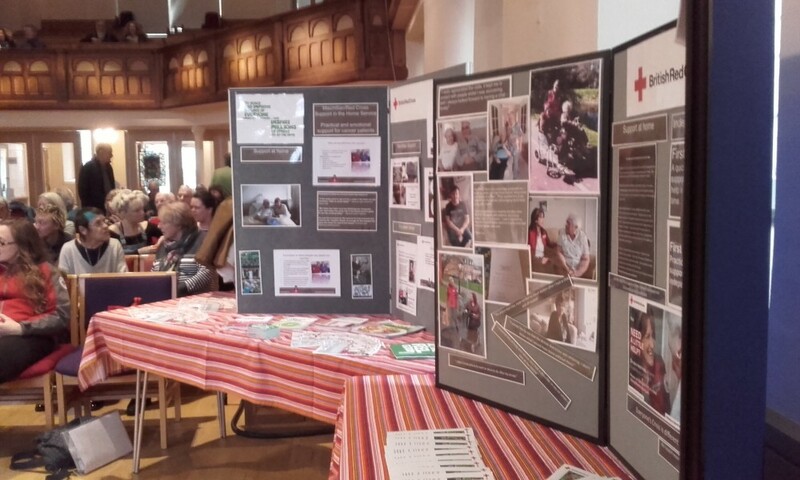 The British Red Cross were also present with information about their work. 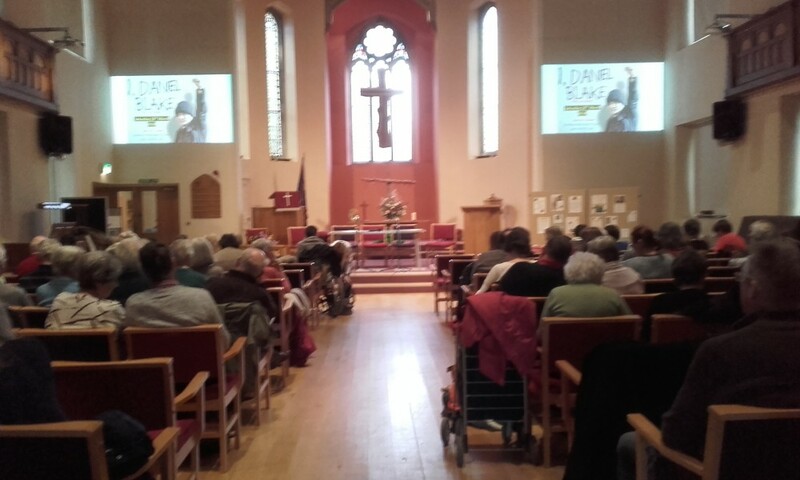 The audience were encouraged by the way in which we are already responding to situations like those of Daniel Blake and Katie in the movie, but we sense there is always more to do and offer. A follow up meeting is planned for Sat 14th April from 10.30 – 12 noon to engage with those who feel inspired to join in and make a difference.